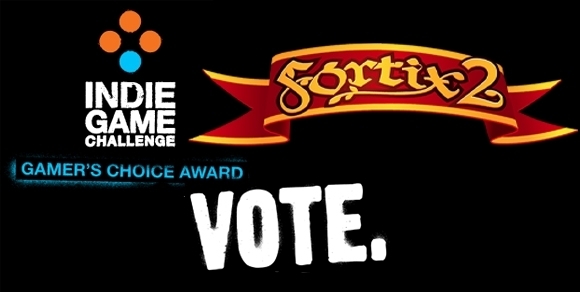 You decide who will win the Gamers Choice Award on the Indie Game Challenge website! Please cast your vote on Fortix II! We promise to make a follow up video to the recruiter which is out on the IGC site, with some crazy scenes!